Welcome to Issue#6 of the Cell Tower Insider. It's funny how some in the industry are trying to convince cell tower property owners that the need for their sites are decreasing when the complete opposite is true. Here's another article of mine that was published recently about the growing demand for cell towers in the United States. 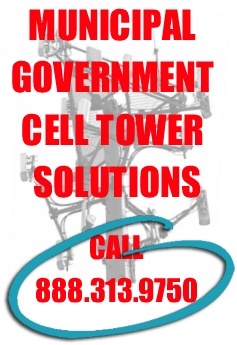 There are over 200,000 cell towers in the United States and there is a growing demand for cellular coverage. Here's the little dirty little secret about the amazing cellular phone devices that have revolutionized the way people communicate... they all need cell towers to work properly. Why are more cell towers needed? There are a couple of reasons. 1. Over 70% of the population in the United States owns a cell phone. 2. The cell phones of today are much different than the cellular devices of just a few years ago. You can send emails, listen to music, surf the internet all from your mini hand held personal communication device. It's like going from a two-lane road to a four-lane freeway. 3. The cellular industry wants your traditional desktop landline phone to become obsolete and for homes and businesses to go completely wireless in the future, hence the need for more cell towers and rooftop wireless sites - a LOT more. 4. There are additional wireless carriers entering into the marketplace that need to mount their antennas somewhere. I'd like to focus on the fourth point, that there is increasing demand due to cellular carriers entering into the marketplace. In the New York City Metropolitan Area where I live, you can choose from Verizon Wireless, ATT Wireless, T-Mobile and Sprint-Nextel. Cingular became a part of ATT and Nextel became a part of Sprint. Yet, I didn't see any cell towers come down due to industry consolidation because of the demand for coverage. Instead what we are seeing are two new wireless carriers entering the marketplace. Metro PCS and ClearWire Wireless are actively looking for site in New York and New Jersey. The problem is however that Sprint's Nextel antennas need to stay up in most cases and most cell towers simply can't support the additional carriers. These wireless companies have to deploy their antennas somewhere, so they either need to build new cell towers or deploy on existing structures or rooftops. But there is another dirty little secret in the wireless industry that nobody is talking about. Another issue that has not received much attention but I assume eventually will by the major media is the fact that two of the nation's largest wireless carriers who will remain nameless have been sitting on multi-billion dollar cellular licenses but have not been using them at all for building any new sites. Why would a carrier do this? Perhaps it has something to do with keeping the competition out of the industry? If these cellular licenses became available they would certainly be purchased by companies looking to break into the wireless telecommunication industry. It would create more competition in the wireless industry, and lead to the lowering of prices which is a benefit to the consumer, and stimulate the economy by creating more jobs in the wireless infrastructure industry through the development of additional cell towers and rooftop cellular communication sites. Remember... Happiness is a 4-carrier cell tower in your back yard.